A-HOTEL.com - Luxury and cheap accommodation in Patkino, Russia. 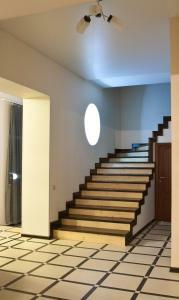 Prices and hotel, apartment booking in Patkino and surrounding. Set in Zhukovskiy, Mini hotel Gavan Nadiezhdy features a seasonal outdoor swimming pool, garden and terrace. Among the facilities of this property are a restaurant, a 24-hour front desk and room service, along with free WiFi. Situated 1.7 km from Saturn Stadium in Ramenskoye, this apartment features free WiFi. Situated in Ramenskoye, 5 km from Saturn Stadium and 5 km from Ramenskoye Bus Station, Cosy Apartment on Vysokovoltnaya 21 offers free WiFi. There is also a kitchen in some of the units equipped with a microwave. Apartment-studio Royal Forest offers accommodation in Ramenskoye, 5 km from Saturn Stadium. Guests may enjoy free WiFi. Apartment-studio Sunset enjoys a location in Ramenskoye, just 5 km from Saturn Stadium and 6 km from Ramenskoye Bus Station. This apartment offers accommodation with a balcony and free WiFi. Set 5 km from Saturn Stadium in Ramenskoye, Студия "New York" (платформа Фабричная) offers accommodation with a kitchenette. The property has garden views. Located in Ramenskoye, Studio Apartment on Vysokovoltnaya has well-equipped accommodation boasting free WiFi, 5 km from Saturn Stadium. There is also a kitchen in some of the units equipped with a microwave, a fridge, and a stovetop. Apartment on Nizhegorodskaya is set in Zhukovskiy. This apartment also features free WiFi. Featuring accommodation with a balcony, Apartment on Chugunova is set in Ramenskoye. The property is 2. Situated in Ramenskoye, just 2.8 km from Ramenskoye Bus Station, Апартаменты на Чугунова provides accommodation with a terrace, a bar and free WiFi. Featuring free WiFi and a restaurant, Hotel Mys Otdykha Nadezhda offers accommodation in Ramenskoye. Guests can enjoy a meal at the restaurant or a drink at the bar. Located in Zhukovsky, Kulon Mini Hotel offers free WiFi in all rooms and free private parking. All air-conditioned rooms have a TV and an electric kettle. Situated in Ramenskoye, 42 Km Hotel is 5 km from Saturn Stadium. All rooms feature a flat-screen TV with satellite channels and a private bathroom. Set in Zhukovskiy in the Moscow region region, Апартаменты в Жуковском has a balcony. The apartment has access to a restaurant. Guest House Pomestye offers accommodation in Zhukovskiy. Among the various facilities of this property are a garden, a terrace and a shared lounge. Set in Ramenskoye, this apartment features a balcony. The apartment is 1. 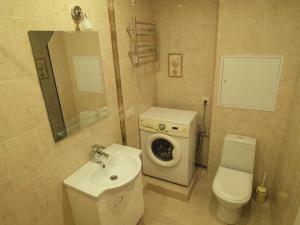 Set 2.6 km from Saturn Stadium in Ramenskoye, Apartment for a Day offers accommodation with a kitchen.